It’s a little early, I know. But I want to make a quick request: if you fellow admirers of the strange and unusual come across memorable Halloween art, decorations, products, costumes, clothing, food…or anything else that deserves a spot on SWS over the next month and a half, please comment or send links via the contact form on the right. I happily credit those who share articles with links to their personal pages/projects. I already have some goodies I’m excited to share and can’t wait to see what we come up with as a community! 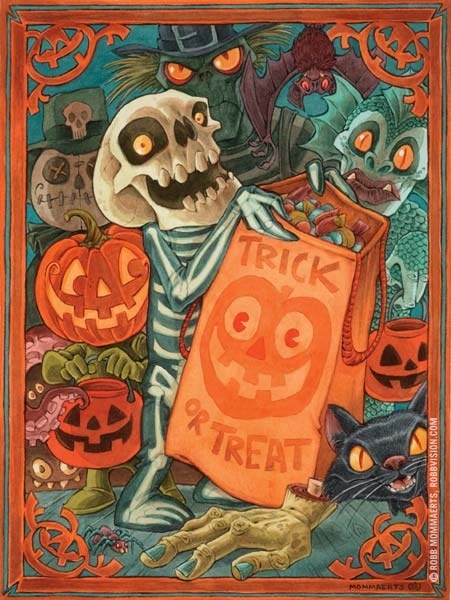 This entry was posted on September 13, 2014 at 9:29 pm and is filed under announcement, art, halloween with tags announcement, art, halloween. You can follow any responses to this entry through the RSS 2.0 feed. You can leave a response, or trackback from your own site. Check out my art 🙂 I’m a part of a Halloween themed exhibit in Tulsa, OK this October. Oooooh…I think you deserve a feature post! Some excellent spookies, indeed! Colleen, you always share amazing stuff. I appreciate it in advance! Hello beautiful creative people , Plz check out my T. Maries Glitter and Gore face book page as well as twitter , and instagram … I would love to be apart of everyone’s amazing Halloween 🙂 peace and love .. https://www.facebook.com/TanaMWillison?hc_location=timeline..